Welcome to Power Tip Tuesday! Wasting time searching for a specific email? Not in Zimbra, where searches are easy and fast! 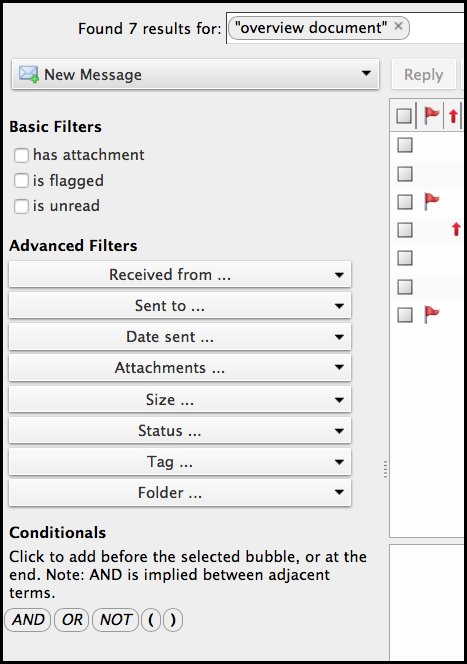 Search your entire Zimbra account, including attachments, in seconds. You can do a quick search using keywords like from, to, in, etc. Click here to see all search keywords. Use quotes to search for multiple words combined. Without the quotes, the search results will include all emails with “overview” and all emails with “document”. You can also build a complex search using the Search menu. Click the magnifying glass in the search field to open the Search tab. 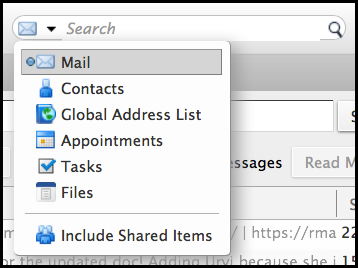 This is a great feature of Zimbra’s search … your search results don’t disappear! They open in a separate tab that you can refer to as needed. Right-click a user name (in your inbox, in an email, in an appointment, etc.). Pin the Search tab to alternate between the search results and your mail … the search results don’t disappear! Save any search you perform often. To save a search, click the Save button. Saved searches are in the overview pane. Click the search whenever you need it. Do you want to learn more about searching in Zimbra? 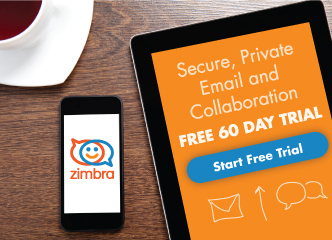 Interested in reading the Top 15 Zimbra Tips & Tricks guide? Download here in English, Vietnamese, Thai, Bahasa Indonesia, German, French, Italian and Spanish! 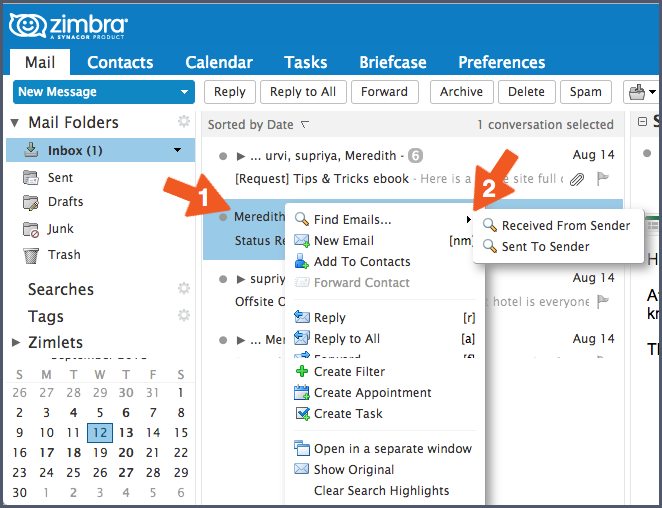 Top 15 Tips & Tricks — Happy New Year from Zimbra!